Nearly a century has passed since the polls were opened to women and for the last 10 years, Georgia’s WIN List has worked to change the face of power in Georgia politics by electing progressive, Democratic women to state-wide office. But there is still work to do! 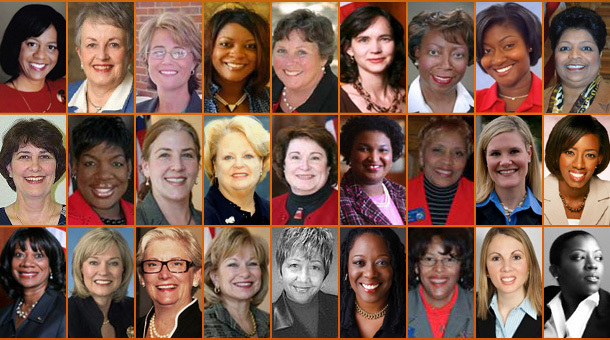 Today, fewer than 20% of our legislators in Georgia are women, and no woman is currently elected to statewide office. 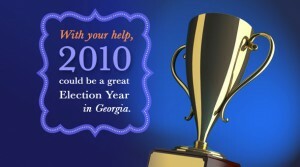 This year, 29 outstanding women have stepped up to run and have earned the endorsement of Georgia’s WIN List. Please join us on August 26th as we present our 2010 endorsed candidateson Women’s Equality Day which this year is the 90th anniversary of women’s suffrage. We hope you will be there to help us celebrate the accomplishments of our previously endorsed women and introduce you to our new faces. Only with your help can we can raise funds to elect highly qualified Democratic women in Georgia; recognize the accomplishments of outstanding women in leadership; and inspire more women to run for public office and WIN! * We are pleased to announce that Double Platinum sponsor, Jesse Crawford has issued a matching challenge grant for this event. Mr. Crawford will be matching all contributions up to an additional $5000.